A good motivational book sharing real-life entrepreneurial stories for entrepreneurs, freelancers and very small business owners. The siren calls of working for oneself and building a business have not waned over the past few years. In fact Small Business Trends reported a study in which half of the working adults owned or wished that they owned a business. But sometimes the psychological push of selling yourself is the huge seemingly immovable barrier in the way of making entrepreneurial wishes come true. Sometimes you need a hero to save you from yourself, or in comic book-Avenger-Justice League style, a superhero team-up. The book is curated by Julia Holloway, owner of Chicago boutique graphic arts firm JMH Cre8tive, and edited by Dr. Angelique Jackson, Artie Advant, and Nicole Knox. 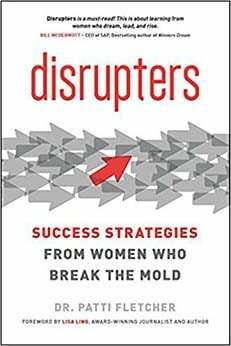 The book will certainly delight professionals seeking light advice in what they can do to become entrepreneurs. There are 17 chapters, one for each contributor to explain his or her choice of a career in entrepreneurship. The overall tone in each chapter reflects each contributor’s own take on passion or a struggle after the inevitable. The tone of each chapter then segues into different aspects of business operations. This approach helps those readers making a solo business effort feel less lonely while they are gaining a few ideas that are actionable. Now read this suggestion from Louis Green, web developer and owner of Flare Systems, as he explains establishing a payment plan to manage cash flow effectively. Other highlights include direct sales entrepreneur Monique Solomon Spense, who shares the need to “see beyond your current circumstance.” Then there’s Raiko Dai, a Los Angeles spa owner who positively examines faith and fear using his experiences from the 2009 economy. A summarizing chapter by Laura Knight includes workplan questions that readers can ask themselves. 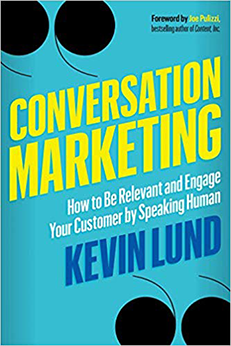 Given the book’s brief size, I liked that the book established actionable insights from everyone’s authentic experiences. This book is different from the rehashing of the same ol’ “Follow Your Passion” mantra which now plagues many business coaching books. The book reminded me of a combination of the light writing structure of “Remote” and the biographies of “Jewels.” But because its words speak acutely to the solo entrepreneur, “The Entrepreneur Within You” succeeds by addressing sharply the majority of small business owners who do feel the psychological impacts sharply. You can read that address in Holloway’s comments below on how she followed her dreams. New startup entrepreneurs, freelancers, and small business owners with small staff sizes are a key audience for this book. But others can benefit from the TEW crew. Readers who have operated a year or longer in business will appreciate the TEW crew’s words and gain a useful sanity check for their own past experiences. 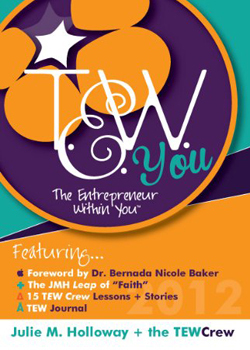 Read “The Entrepreneur Within You” to learn how you can best unleash the entrepreneur you could be. Pierre Debois is Associate Book Editor for Small Business Trends. He is the Founder of Zimana, a consultancy providing strategic analysis to small and medium sized businesses that rely on web analytics data. A Gary, Indiana native, Pierre is currently based in Brooklyn. He blogs about marketing, finance, social media, and analytics at Zimana blog. Thank you for the amazing review Pierre!